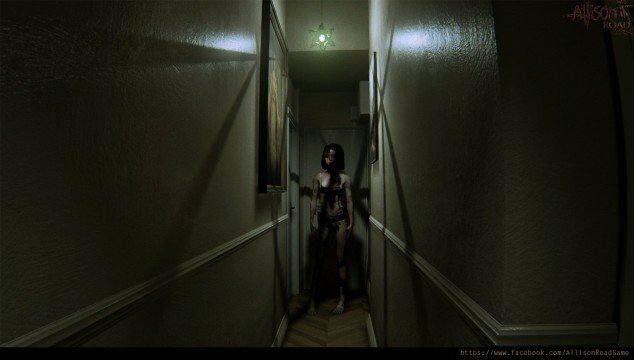 In what will surely come as disappointing news to all horror fans, Allison Road developer Lilith Ltd has confirmed via Twitter that their P.T. like indie game has been cancelled, no doubt leading many to believe a curse surrounds those that attempt to make such a title. Hi all. Sadly Allison Road had to be cancelled. Statement to come in the next few days. Thx for all your support and very sad it came 2 this. The confirmation of the game’s cancellation is somewhat puzzling though. Allison Road originally appeared as a Kickstarter campaign and, shortly after that, Lilith Ltd announced that they had cancelled the crowdfunding campaign and partnered with long-lasting studio Team17 (best known for creating the Worms series), which would afford them additional support and resources to get the game made. Working with Team17 will give us the chance to make our game unhindered creatively, but at the same time will give us the resources, support and experience that only a 25 year old studio can give. No firm release date was ever announced for Allison Road, but it was due to go on sale before the end of 2016, so development must have been quite far along. We’ll hopefully know the full details when Lilith release a further statement in a few days.